The clothing subtly harkens back to the Golden Age of Hollywood. 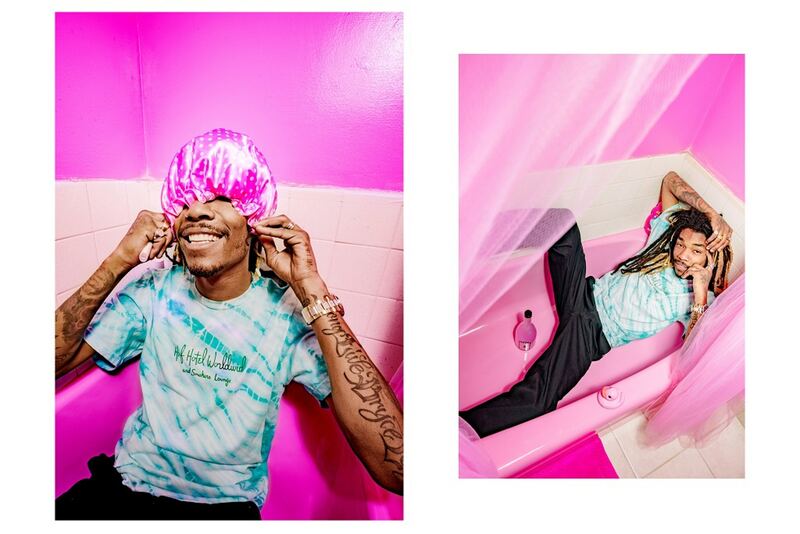 Streetwear stalwart HUF is bridging together resort and weed culture for a new collection that is effectively titled HUF Hotel Smokers Lounge 420. The set is defined as a "420-themed" assortment of trendy clothing and accessories that are also accessible to a broader audience. The collection glorifies every stoner's most revered holiday by featuring a prominent "420 Al Fresco" graphic motif. The clothing and its adjoining lookbook that provides a visual extension to the collection's thematic preoccupations is partly inspired by "historic Hollywood hotels and social lounges." 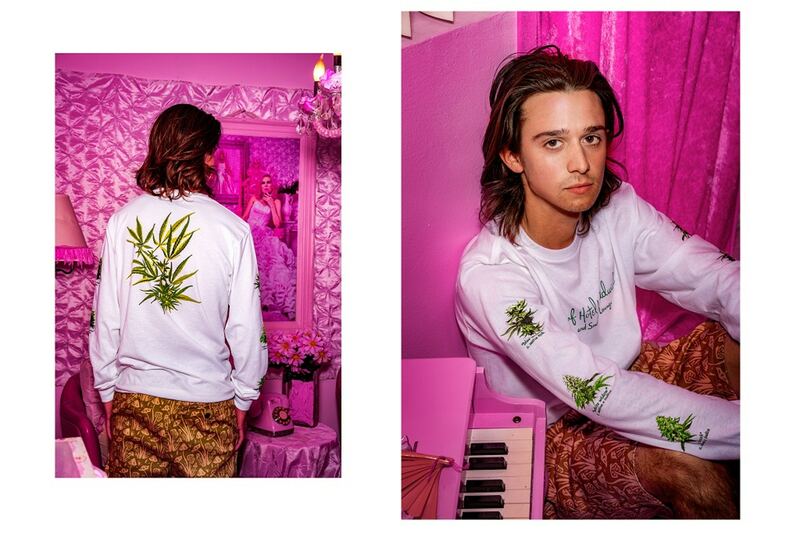 This gives the set deeper contextual resonance, as if the brand is outfitting a modern day Cary Grant with a penchant for marijuana and bongs, as opposed to tobacco and a pipe. 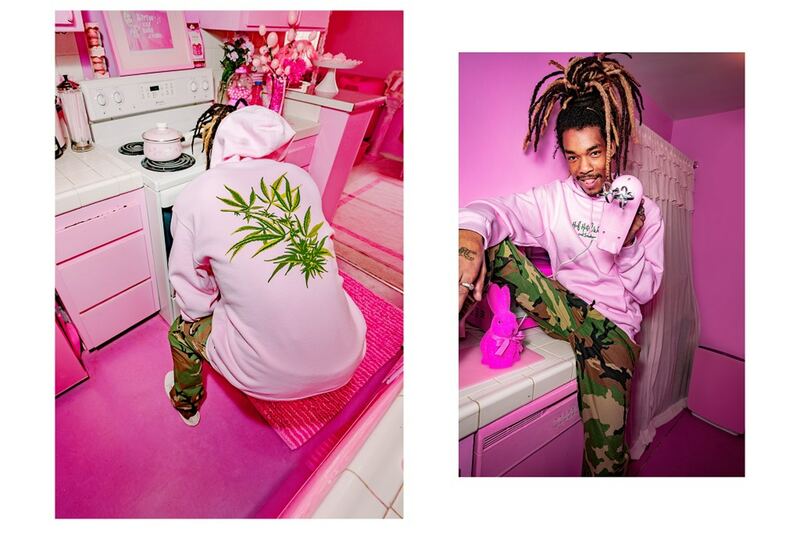 The collection prominently features a "strains" t-shirt, as well as a "tropical plants" hoodie that is rendered in a dominant colour palette of pink and mint, with the inclusion of some camouflage prints and other graphics.